Play Boardgames Better | It's more fun to play well. 118 different people played 53 games of Puerto Rico this year. This was an increase of 8 people, but a decrease of 6 games over last year’s tournament. This was due to the lack of a quaterfinal round. That was requested by WBC’s management. Thanks everyone for your support! Congratulations to Wade Campbell! He won the final game with 52 points. 49 were from shipping, with only 6 building points offsetting his 3 point bid for seat 3. Sam Wolff finished second with 47.5 points. 3rd through 6th place are: Alex Bove (45 points in final), Greg Thatcher (42 points), Kevin Walsh and Sky Roy. 110 different people played 59 games of Puerto Rico this year. 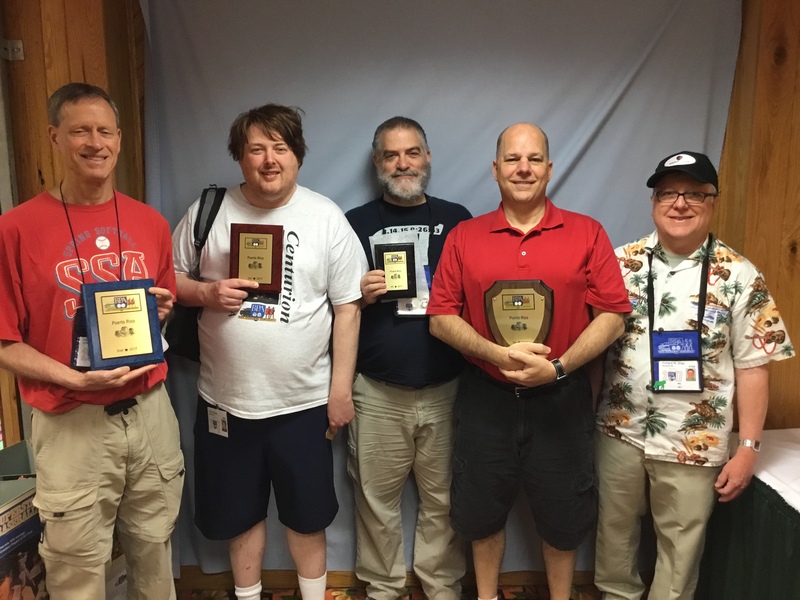 This was an increase of 10 people and 20 games over last year’s tournament. Thanks everyone for your support! 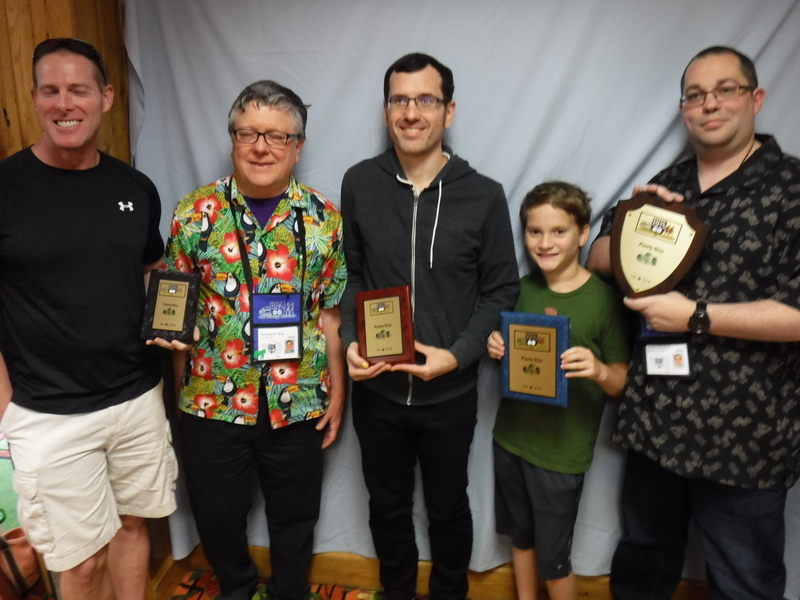 In a close final game, Brad Sherwood edged out Ed Gilliand 41 to 40 for the championship. 100 different people played 49 games of Puerto Rico to determine that Kevin Walsh is the 2016 champion. Unboxing and presenting the components of Vladimír Suchý’s worker placement game from Czech Games Edition, 2015. This is the sequel to the designer’s Last Will game. The new game has three competitions as players race to lose their possessions, social standing and votes. Uwe Rosenberg’s new version of Agricola. 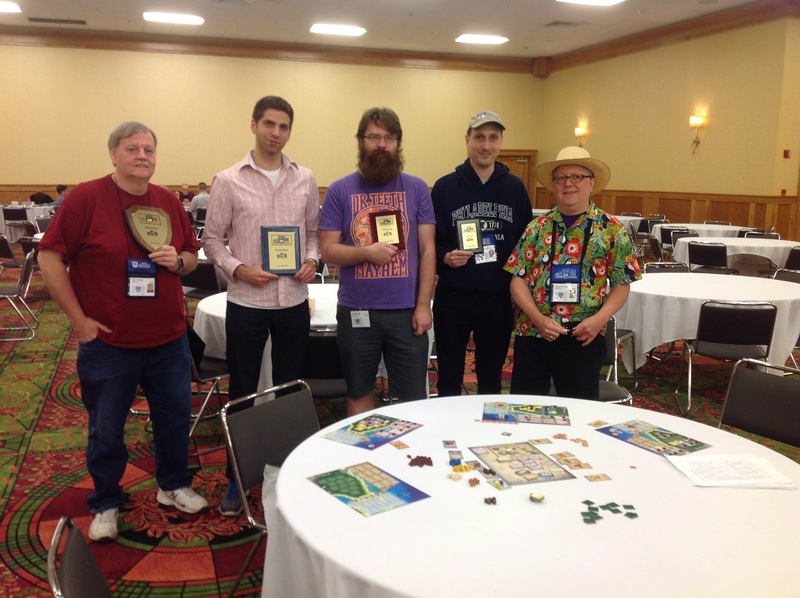 Published by Lookout Games in 2016. Haspelknecht from Quined Games in 2015. Components for Sierra Madre Games’ Pax Pamir designed by Phil Eklund and Cole Wehrle. Rudiger Dorn and puplished by Pegasus Spiele. This video shows the components and gives an overview of the expansion. Artisans of Naqala is an expansion for Five Tribes released in 2015, designed by Bruno Cathala. The game was published by Days of Wonder. Orleans DeLuxe was designed by Reiner Stockhausen and published by Tasty Minstrel in 2015. This is a special printing of Orleans in English.